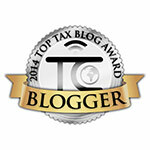 The Buzz About Taxes: New Rules On ITINs: What This Means For You? New Rules On ITINs: What This Means For You? For a quick refresher on what ITINs are: Individual Taxpayer Identification Numbers aka ITINs are tax processing numbers issued by the Internal Revenue Service. It is a nine digit number that always begins with the number 9 and has a range of 70-88 in the fourth digit, example 9XX-7X-XXXX. The IRS issues ITINs to individuals who are required to have a U.S. taxpayer identification number but who do not have, and are not eligible to obtain a Social Security Number (SSN) from the Social Security Administration (SSA). Individuals must have a filing requirement and file a valid federal income tax return to receive an ITIN, unless they meet an exception. You can also use the Form W-7, to apply for the ITIN. As of June 30th, 2014, Individual Taxpayer Identification Numbers (ITINs) will expire if not used on a federal income tax return for five consecutive years. The IRS will not begin deactivating ITINs until 2016. Bibliography: irs.gov News Releases; Form W-7.